Here's a rainbow dripping, acid eating brain skull I did the other day. I'm always looking to do more skull tattoos like this one. 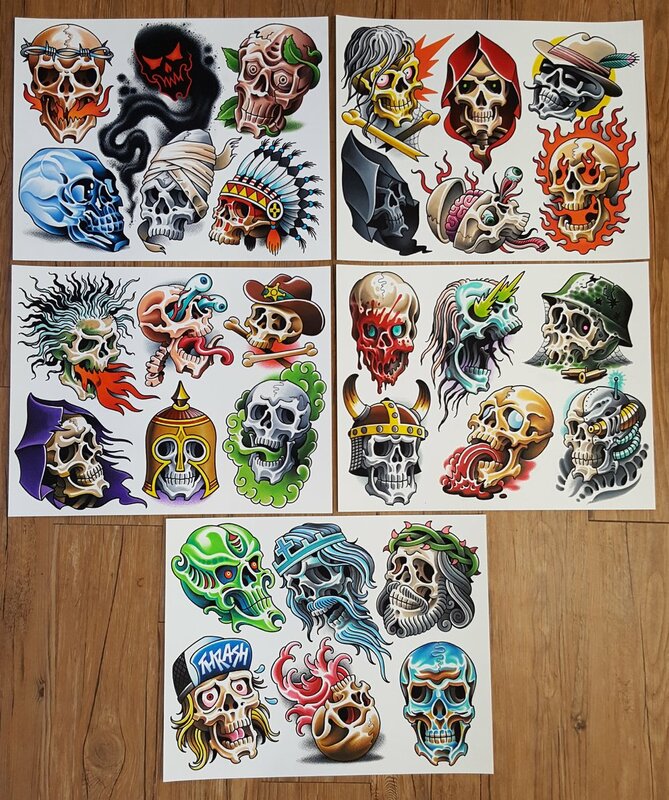 I finished my new skull flash set. All of these designs will be available for tattoos. Email me to book a tattoo appointment at my private studio in Austin Texas.